Nikon's recent announcement of its Z6 and Z7 mirrorless cameras has sparked a renewed interest in the Japanese company’s products, but rival Canon is definitely not one to get left behind and may be about to launch revamped mirrorless devices of its own. There've been rumors of Canon releasing a couple of full-frame mirrorless cameras (the company's first) doing the rounds over the last several months, but so far Canon's largely managed to keep the details under wraps... meaning there's been little pre-launch buzz. Today however, we've learned a few new tidbits that should excite Canon fans. The latest word, according to CanonRumors, is that at least one of the two Canon full-frame mirrorless cameras could be unveiled as soon as September 5. Previous rumors suggested that Canon would announce the new range at Photokina this year (which runs from September 26 to 29), but CanonRumors says it is “likely” we’ll get official word on the first one next week. 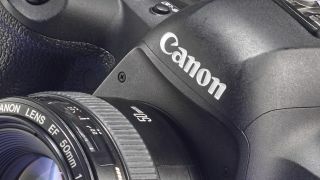 Although Canon has remained tight-lipped about its new cameras, some of the basic specs did leak out this past weekend. According to Canon Watch, one of the cameras will feature a 28MP sensor with Dual Pixel autofocus and in-body image stabilization (IBIS), along with a 10fps burst speed. The leaked specs also suggest the Canon will offer 4K video capture at 30fps, or 1080p footage at 60fps. Price is rumored to be $1,900 (about £1,500 / AU$2,600). Whether there's any truth to these rumored specifications remains to be seen, but they do sound rather similar to the Nikon Z6. If those specs are real, the September 5 device announcement may be for the lower-end of the two anticipated cameras, with Canon’s professional-level, full-frame mirrorless getting its own reveal sometime in the next couple of months. There’s not long to go for September 5, and we're definitely keen to see how the photography world receives Canon’s first foray into the full-frame mirrorless battleground. Watch this space for more on Canon’s full-frame mirrorless cameras.